EASY AND SMOOTH ADJUSTMENTS - The frame ensures a comfortable height-adjustment experience with minimal effort. Frame height: 28.3" -49.2"
Easily adjusts sit to stand with a smooth crank from 28.3" to 49.2", width-adjustable can be expanded from 43.3" to 70.9". 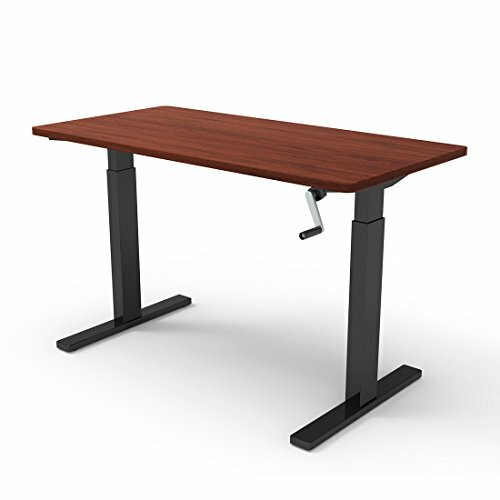 Recommended desk top size: length of 47" -78.7", width of 27.5" -31.5", and a thickness of 3/4" and greater. Built to support wide height range of users from kids to adults, features a 170 lb weight capacity. Easy assembly --we offer explicit and understandable installation guide, helping you easily set up. Designed to accommodate with four-monitor setups or larger work space needs. If you have any questions about this product by FLEXISPOT, contact us by completing and submitting the form below. If you are looking for a specif part number, please include it with your message.